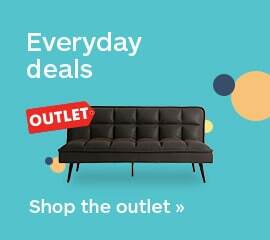 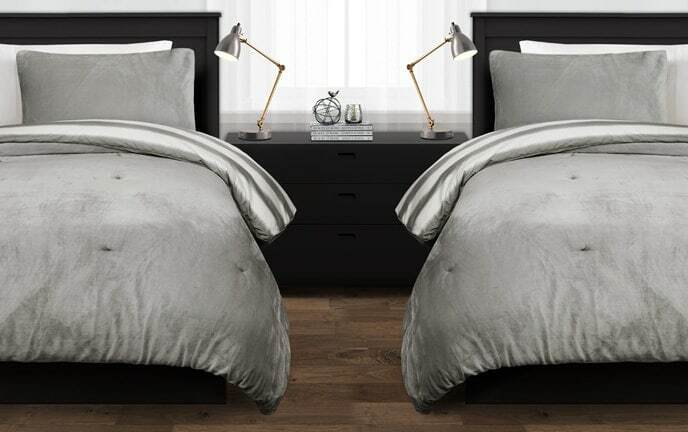 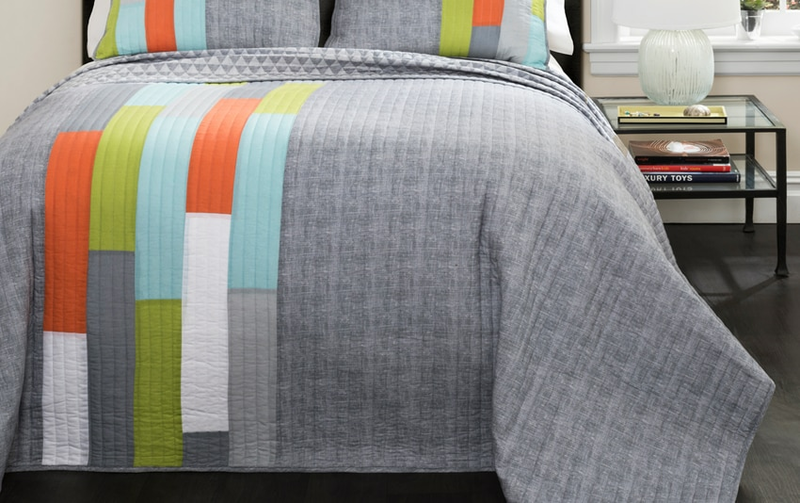 My Mikey 2 Piece Twin Quilt Set is no frills, no fuss, just ultra simple contemporary style! 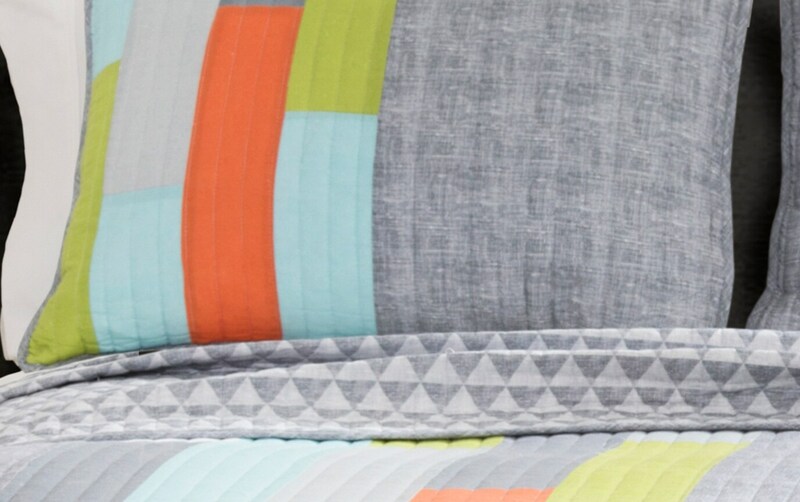 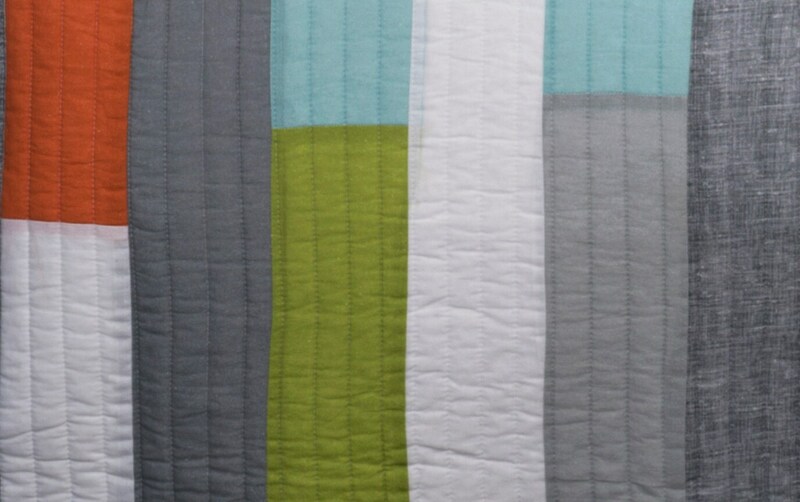 And how about this fine craftsmanship- while the majority of this gray quilt is texture print, the colorful geometric shapes are done by hand. 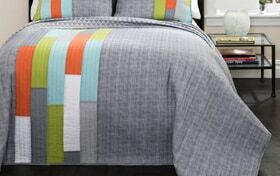 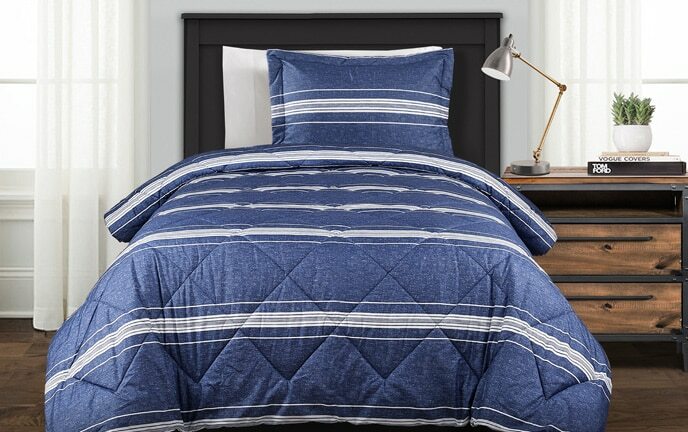 Adding to its attractive modern appeal, the quilt is also reversible! 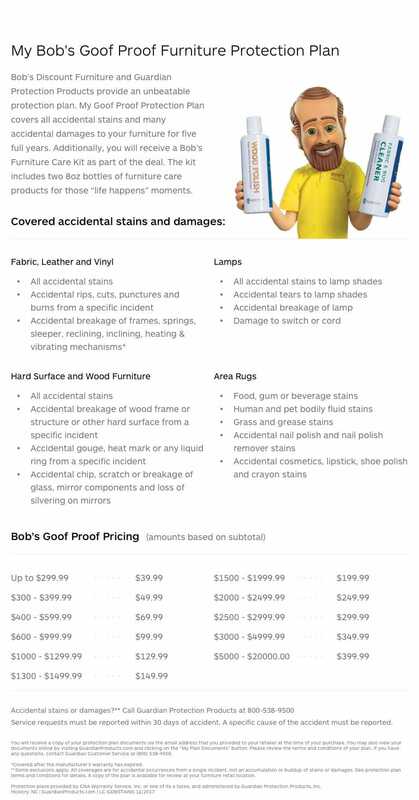 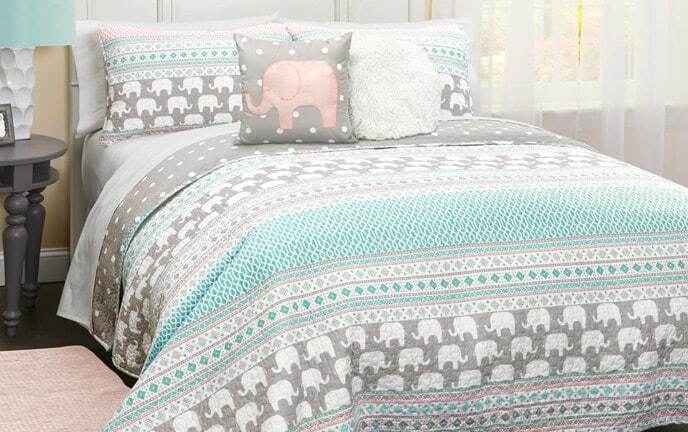 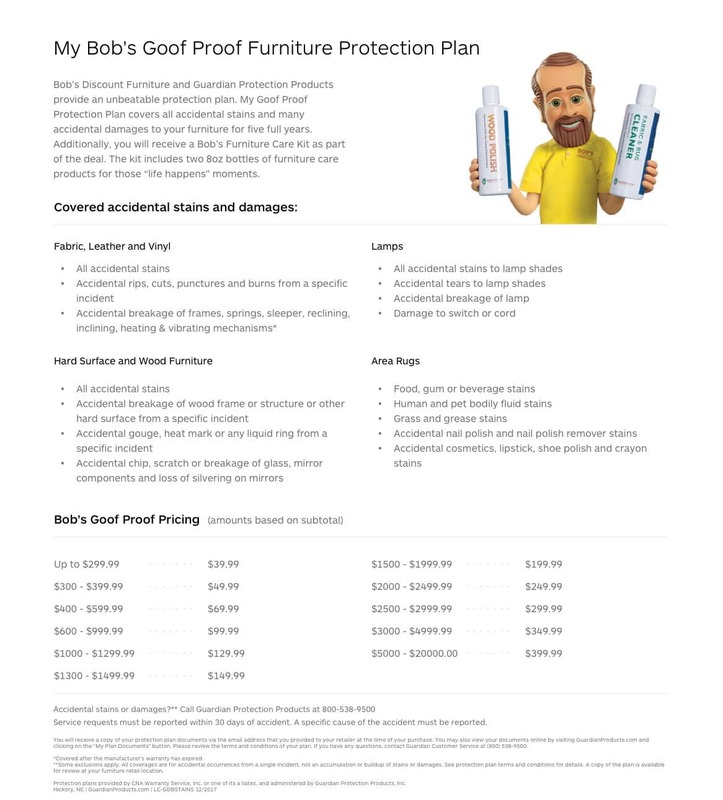 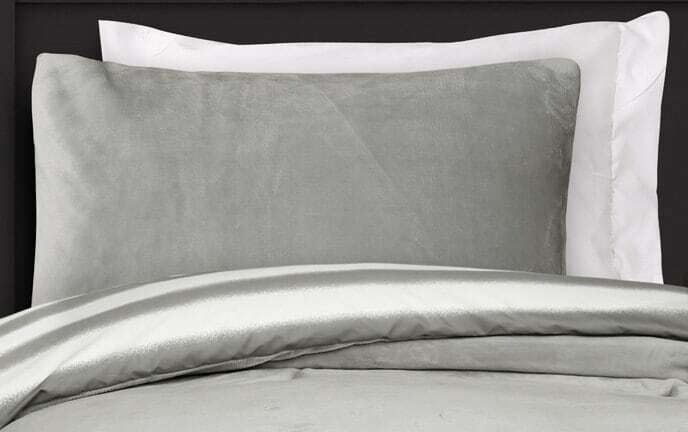 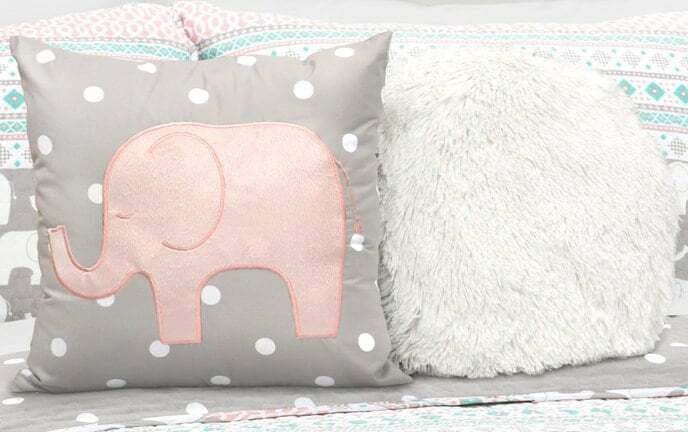 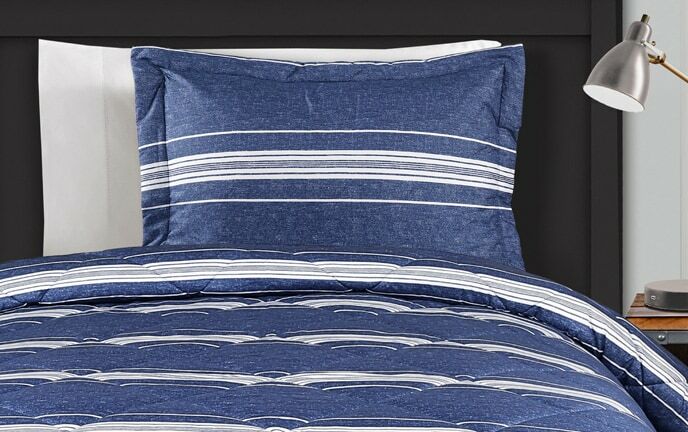 Finally, the matching pillow sham makes this set a must-have.